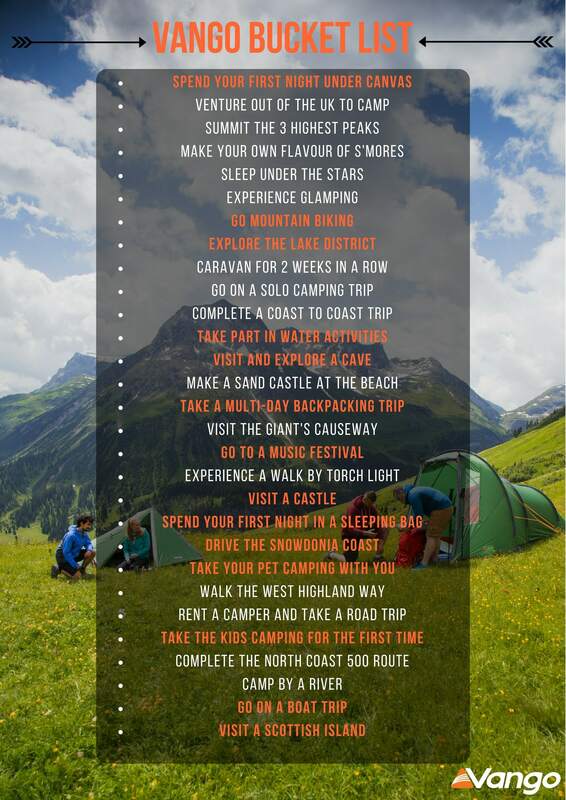 Make more of your summer with the Vango Bucket List! We have gathered together all of our favourite activities and adventures to do around the UK, from making delicious s'mores round the campfire to taking a road trip with friends or family. Why not make the most of 2018 and take part in our Bucket List competition! Each post must contain which Bucket List activity you have completed alongside your photos to enable us to judge the best! Our competition will be live from the 25th May to the 31st August, so plenty of time to get out there and make the most of the great outdoors. How many of these activities can you tick off your bucket list this year? Help us highlight our list below to be in with a chance of winning a Vango prize!